The marathon is one of the most challenging events in endurance athletics. 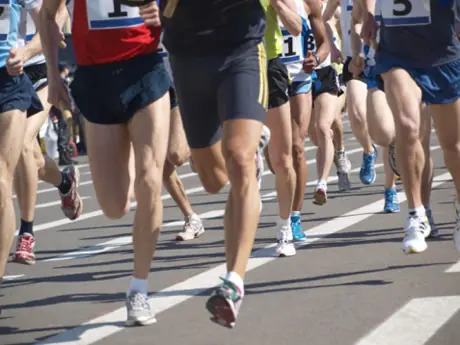 To succeed in the marathon, a runner must possess a great deal of durability and aerobic strength as well as a healthy dose of economy and power. Training must reflect the demands of this unique distance, and while the lion's share of training for the marathon distance can and should be simple aerobic time on your feet, specific "marathon prep" sessions will yield greater performances on race day—if implemented correctly. One of the questions we receive the most here at ZAP Fitness relates to the duration of the build-up, specifically how long should the preparation be. My answer is always the same: The build-up for your marathon should be inversely proportional to your fitness, so the fitter you are when starting a marathon build-up, the shorter your preparation period should be. A runner in terrific shape will be far better served with a shorter crash course-type two-month prep, whereas someone who has either never implemented a complete marathon program or is returning from an extended break (basically you are unfit) can and should work off the more traditional 12 to 14 week program. This article will discuss the crash-course plan for those runners starting their programs already quite fit. It may come as a surprise to many that the overwhelming majority of runners with whom I have worked are generally ready for their marathons two to three weeks prior to race day. Believe me when I write that eight weeks is plenty of time to get yourself ready to execute an excellent marathon if you are already fit. If are beginning your marathon program already in fairly good shape, then your "introductory phase" of pure aerobic development (which is absent of harder workouts) is largely nonexistent. Our crash course requires marathon-specific work from the get-go.